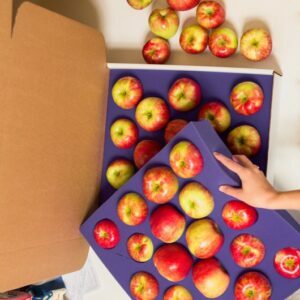 WE SHIP APPLES AT THE BEGINNING OF THE WEEK SO THEY DON’T SIT IN A WARM WAREHOUSE ALL WEEKEND. IF YOU ORDER TOWARDS THE END OF THE WEEK, YOUR ORDER WILL BE PUT ON HOLD UNTIL THE FOLLOWING MONDAY. 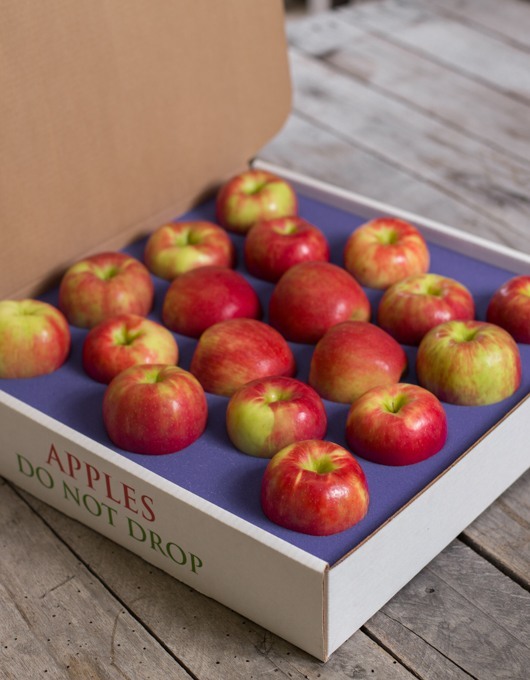 Our apples are hand selected and placed into foam shipping boxes that hold either 18 or 25 apples depending on the size of the apples. 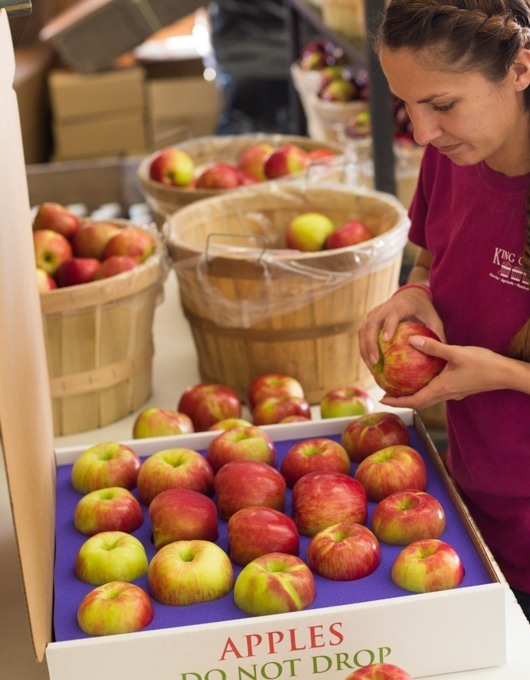 Give us a call if you want to make a custom pack of apples (877-937-5464) and one of our team members can help you to make you a specialized apple gift pack.